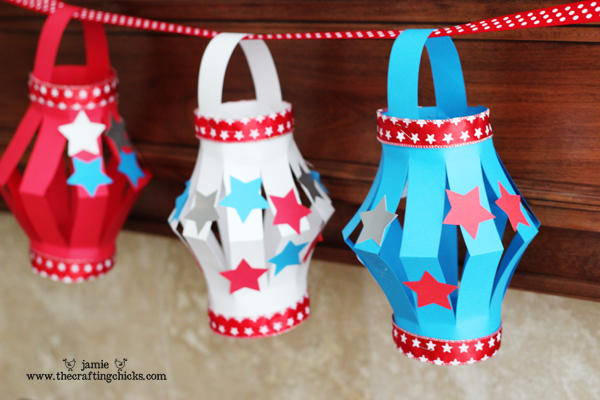 The clock is ticking and you are about out of time for 4th of July crafts, but there is enough time to sit the kids down and let them create some of these patriotic paper lanterns. They make great centerpieces for your table, you can hang them as a garland, and I might even have my kids string some on their bike handles for a 4th of July bike parade they will be participating in on Wednesday morning. Jamie will show you how to make these festive 4th of July paper lanterns over at The Crafting Chicks.